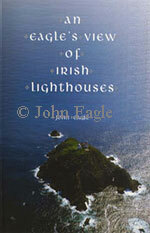 Launched by the former Chief Maritime Correspondent of RTÉ Tom MacSweeney at the Maritime Museum in Dún Laoghaire. 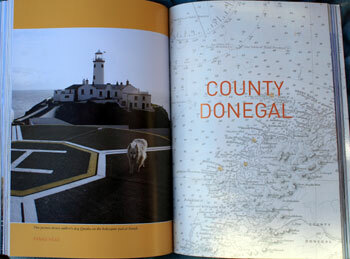 With the Foreword written by the Chief Executive of the Commissioners of Irish Lights, my first book tells you how to reach over 50 of the lighthouses on the Irish coastline. 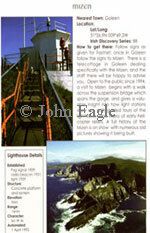 All pictures are in colour. 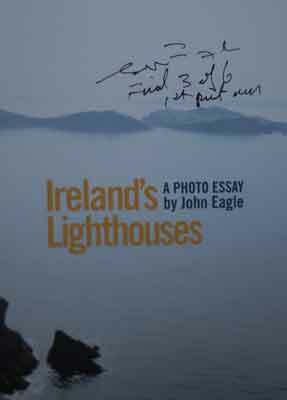 As I toured Ireland looking for the lighthouses to photograph it became apparent that for others to follow in my footsteps a guide book needed to be written. 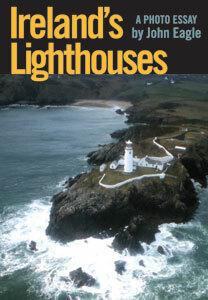 Lighthouses like Mine Head in Co. Waterford which is notoriously difficult to reach. 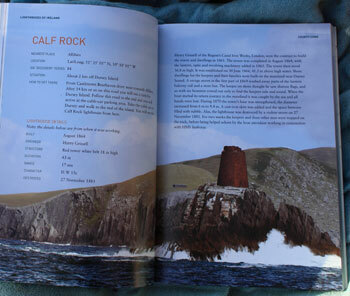 My book also gives the reader information on when the lighthouses were built, elevation, character, location maps etc. 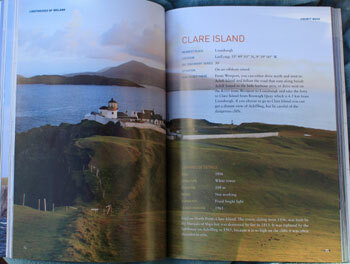 I also go into detail on the storm that ravaged Eagle Island off the Mayo coast, reducing the place to rubble.